Since 2013, one of Denmark’s most popular cinematic exports has been the Department Q series, three films (and counting) based on the gritty crime novels of Jussi Adler-Olsen. Lars von Trier’s company, Zentropa, has been producing and releasing Department Q thrillers at a clip of roughly one per year, but Sundance Selects is putting them all out in theaters and on video on demand in the United States on the same day. That’s a shrewd move, reflecting both the core appeal of these pictures and how they might best connect with American moviegoers and TV-watchers. These are the kind of character- and plot-driven police procedurals designed for binging, a lot like Netflix favorites Happy Valley and The Fall. Although each of the first three films tells a full, discrete story, they work best cumulatively, as the ongoing adventures of one cranky, conscientious cop. Taken on their own, the Department Q movies might not strike Americans as anything special—or at least not anything they can’t find running on television at any hour of the day. Adler-Olsen’s hero, Carl Mørck (Nikolaj Lie Kaas), is a typical lone-wolf detective who begins the series by suffering a painful professional setback and getting booted down to a dead-end assignment by his bosses, who mostly want to keep him out of their hair. Seemingly always on the verge of suspension or termination, Mørck reluctantly agrees to work on cold cases with Assad (Fares Fares), a policeman pushed to the margins due to his ethnicity. The pair’s mandate is to stay at their desks, poring over old files, looking for clerical errors and clarifying the last few facts needed to render cases inactive. The department has a three-files-a-week quota, but the very first one Mørck opens catches his interest, and soon he and Assad are defying orders and spending their days out in the field, following leads all over Scandinavia. The origin story for Department Q fills a lot of the first film, The Keeper Of Lost Causes, which is also the shortest and weakest of the trilogy. The case involves a popular young female politician, Merete Lynggaard (Sonja Richter), who’s believed to have jumped into the water and drowned while taking a ferry with her brain-damaged younger brother. Mørck doesn’t think the ruling of suicide makes sense—and we know he’s right, since director Mikkel Nørgaard and screenwriter Nikolaj Arcel show early on that Lynggaard’s being held captive in a torture chamber by a shadowy sicko who keeps interrogating her about her past. The Q crew starts with the boat and works backward, digging all the way back to the politician’s girlhood before they figure out the clue that explains where she is and why. The crime in The Keeper Of Lost Causes turns out to be pretty preposterous, which undercuts a lot of the grim realism that’s become the hallmark of Scandinavian crime fiction. The film also suffers some from spending so much time setting up the premise and loading up on multiple scenes in which Mørck gets called on the carpet by his superior, Marcus Jacobsen (Søren Pilmark). That’s a bit of procedural schtick that went past cliché to self-parody about three Lethal Weapons ago. Still, The Keeper Of Lost Causes does pick up some page-turning momentum in its last half hour, and it firmly establishes the basic Department Q concept, which is sort of like The X-Files, only with murderers and rapists instead of aliens and government stooges. 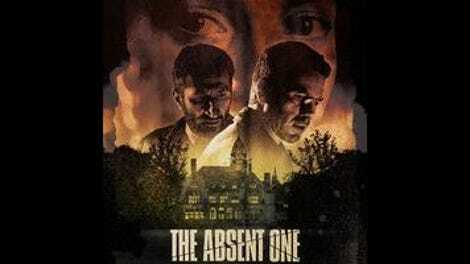 The second installment, 2014’s The Absent One, is better in almost every way. Although Nørgaard and Arcel again lean too hard on the idea that Mørck and Assad are unpopular with their colleagues (who call them “the Arab and the drunk”) and are constantly in danger of getting fired, the film does introduce a welcome new regular character in Rose (Johanne Louise Schmidt), a diligent secretary who keeps turning up new trails for the partners to follow. This time, they’re reinvestigating a 20-year-old murder that may have put the wrong man in prison. The crime involved a group of boarding school classmates, some of whom have gone on to lead lives of wealth and privilege, while one—a psychologically damaged woman named Kimmie Lassen (Danica Curcic)—has been living on the streets. As Mørck tries to figure out who’s really responsible for the killing, his partners and boss worry that his antiauthoritarian bias might be leading him down the wrong path. As with The Keeper Of Lost Causes, The Absent One employs frequent flashbacks that minimize the mystery, filling the audience in on the facts of the case before the detectives find out. But this time the assortment of suspects are more grounded and include one impressively oily creep played by the fine actor Pilou Asbæk. And it helps that the second film—which is also the longest—takes the time to explore Mørck’s psyche, revealing how he’s driven by a resentment for all the comfortable, happy people he encounters every day. Hans Petter Moland takes over for Nørgaard to direct the third film, A Conspiracy Of Faith, though there’s little noticeable difference in style. Arcel’s script and Adler-Olsen’s original novel remain the main creative drivers in a movie that’s somewhat more serialized than what came before. The Absent One could easily be watched on its own, but in its opening half hour at least, A Conspiracy Of Faith relies on some preexisting knowledge of the dynamic between Rose, Assad, and Mørck—and of how badly the latter was shaken up by what happened at the end of the previous story. The relevance of the hero’s recent past fades into the background once he gets absorbed in the department’s latest case, which involves a crumbling “help me” message that washed ashore in a bottle. After Assad and Rose piece together that this may be an SOS from a child raised in a fundamentalist Christian household, the team is back on the hunt, nosing around old crimes that the community would rather forget. The villain in A Conspiracy Of Faith is the most memorable of the lot: an avowed satanist named Johannes (Pål Sverre Hagen) who enjoys testing his victims’ faith by confronting them with the unimaginable. The extremity of the bad guy moves the third film back to the far-fetched pulpiness of the first, which isn’t ideal. But his awfulness does rouse the heroes’ righteous ire, pushing them to have some frank conversations about faith and purpose, which deepens their characters. By the third episode—as so often happens with any series—the people and their milieu become the main reason to watch. Department Q has weaknesses galore. Like a lot of Scandinavian crime stories, these films walk right up to the line of using violence for the purpose of titillation, which is especially questionable given that the victims are often young women or children. 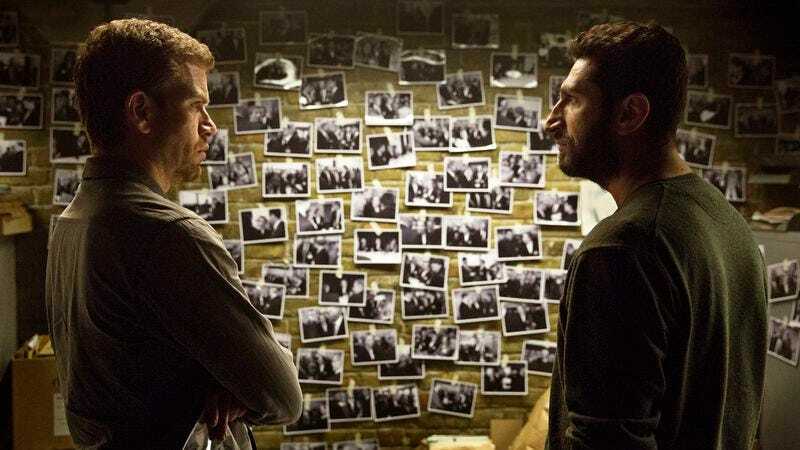 And Assad is too often stuck playing the silent, supportive sidekick to Mørck, who dominates all three films with his broodiness—not unlike a typical prestige cable drama antihero. But fans of those kinds of shows will find a lot to like here, from the intricacy of the cases to the rich exploration of various aspects of Danish culture. With each new puzzle, the larger Department Q picture gets a little more filled in, until it gradually becomes an entertaining and wide-ranging critique of how so many societies are constructed around dangerous presumptions.